So, remember the Hue Shift afghan I started a month or two ago? I ended up starting it over again, and I blame KnitPicks and their holiday sales. If you remember from my previous post on this blanket, due to me being impatient and wanting to start the project right away, I went to Michaels and bought yarn that was as close as I could get to the colors used in the pattern. And they were definitely pretty colors, but not quite what the pattern called for. As you can see, I came close with some of the original colors, but others were way off. 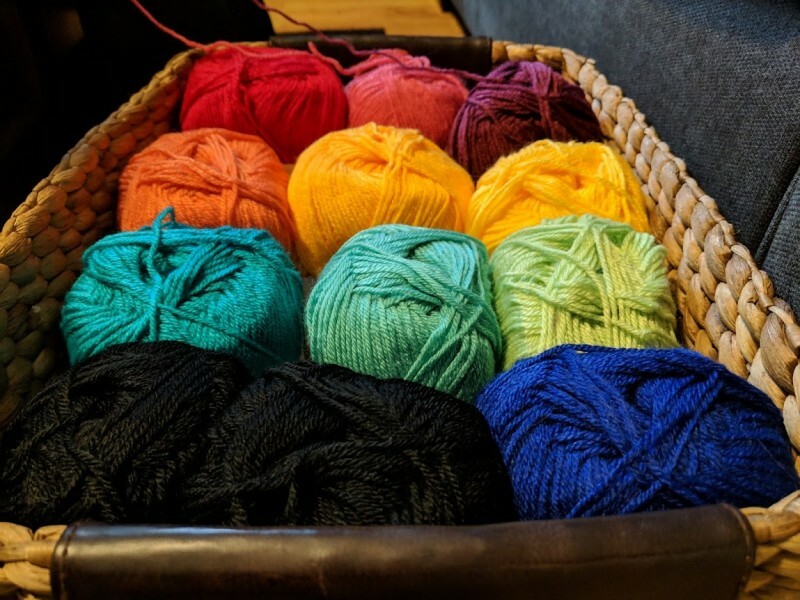 I will say, take two of the Hue Shift afghan is going to be a bit smaller, since the yarn KnitPicks put in the kit is sport weight instead of worsted weight, but that’s okay. I’m really pleased with how the afghan is turning out, and the Brava Sport yarn is so much softer than the yarn I was using from Michaels. It’s coming along pretty well so far! 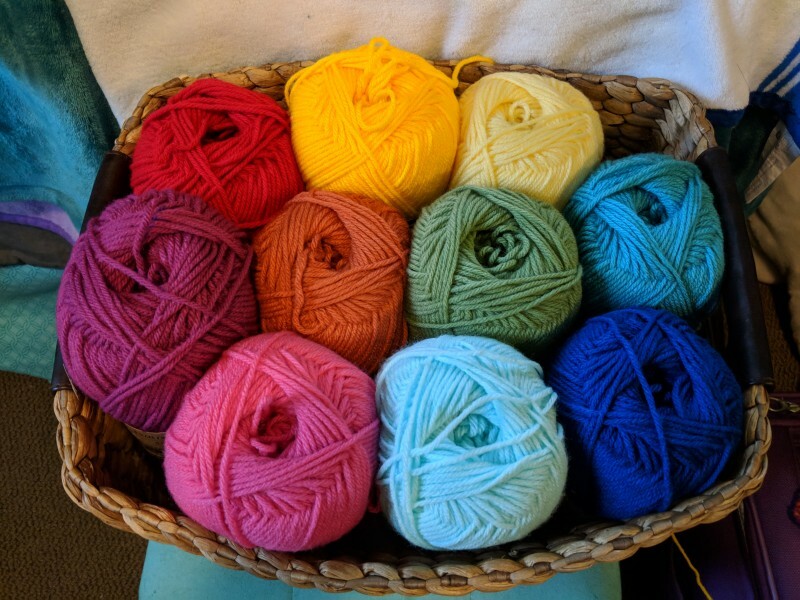 You might be wondering, though, what I’m going to do with the yarn I bought previously. 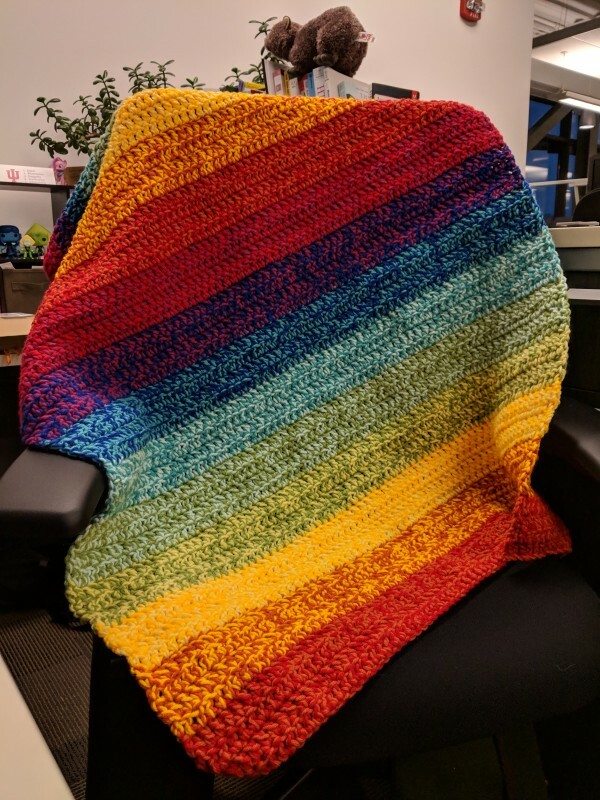 Well, I’m one step ahead of you there – over Thanksgiving, I cranked out a new blanket for my desk with most of the yarn from the original Hue Shift yarn batch. It gets cold in my office building, but this blanket has done a good job of keeping me warm this week! This was pretty simple to work up – I just used two strands of yarn and an L hook, and the stitch is a double crochet. 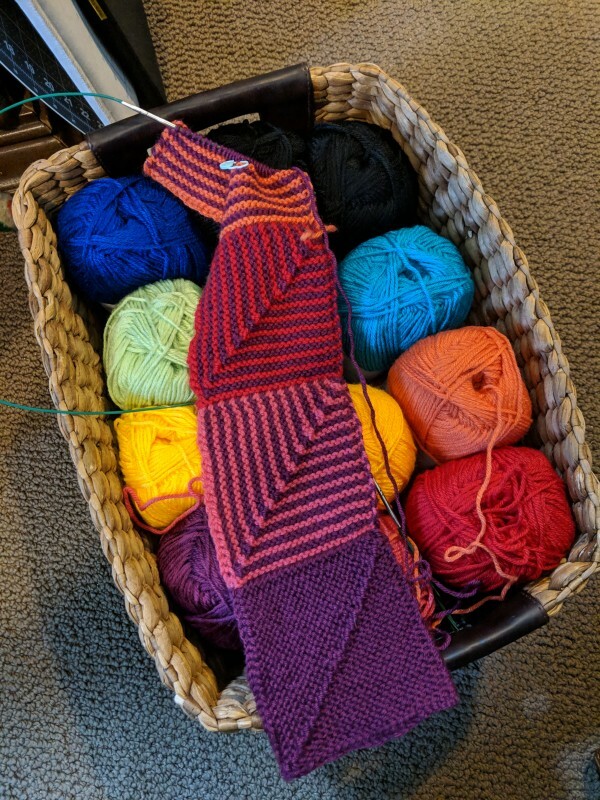 I switched out one of the colors every 4 rows, which let me blend the colors together a little bit instead of having stripes of a single color. I’m really pleased with how it turned out, and I’ve got enough yarn left to make a smaller lap blanket, too.